Jump into the driver’s seat of an assortment of anti-gravity vehicles, then put them through their paces in high octane competitions at 60 frames per second. 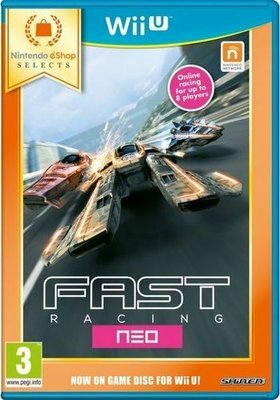 Try to become a legend by besting all three of FAST Racing NEO’s leagues, each of which ramps up the competition… and the speed! Tear through 16 winding, twisting tracks that showcase stunning locales and realistic weather conditions. Skid along the ice as your cockpit view is buffeted by heavy snowstorms, weave between skyscrapers in a rainy high-tech metropolis, and watch out for sandstorms that can blow you off course!